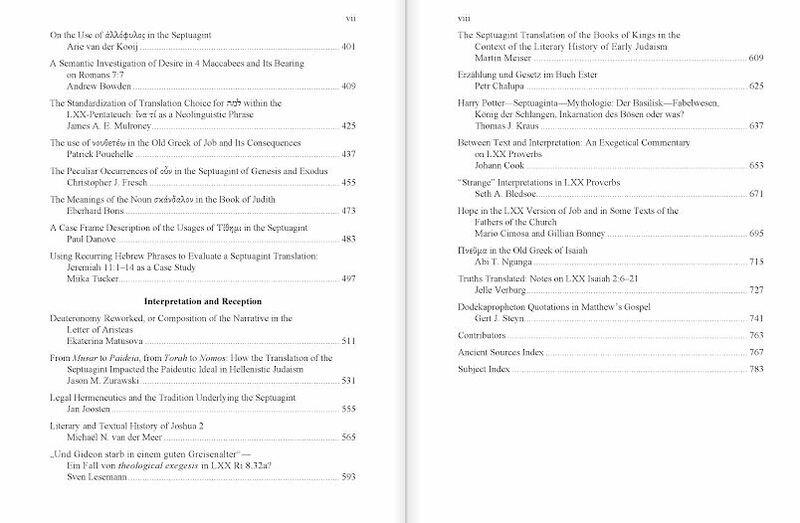 The 15th Congress Volume of the IOSCS is Now Available | Septuaginta &c.
Every three years the International Organization for the Study of the Old Testament meets at a different international location. This is such a momentous event for the discipline of Old Testament biblical studies that these meetings are not called a mere “conference,” but are given the grandiose title “Congress.” Most recently this was held in September of this year in Stellenbosch, South Africa. During the congresses, many sub-disciplines will host a meeting of their own international organizations. 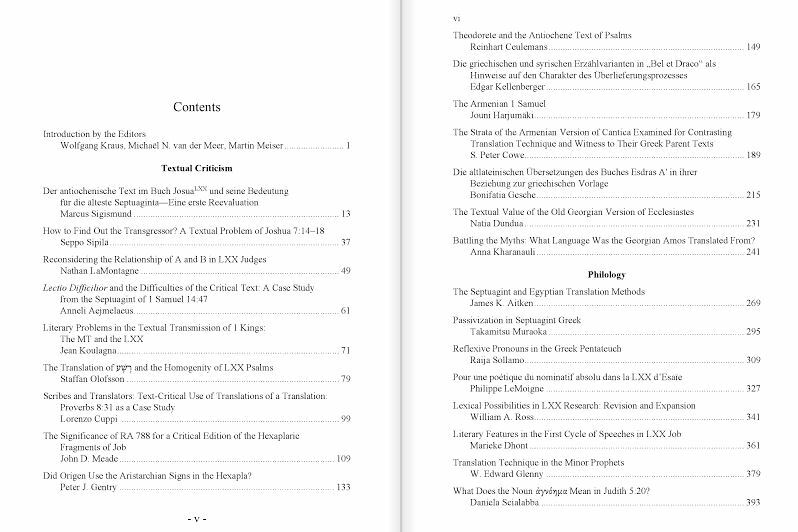 These include, among others, the International Syriac Language Project (ISLP), the International Organization for Masoretic Studies (IOMS), the International Organization for Targumic Studies (IOTS), and – of course – the International Organization for Septuagint and Cognate Studies (IOSCS). There is a wealth of cutting-edge research in Septuagint scholarship in this volume, which is now for sale and shipping (unfortunately) at the cost of an arm and a leg. But be sure you have your library pick up a copy, as it is well worth having on hand. If you’re interested in seeing my contribution, you can read it here. Just a brief mention here that I’ve received a handful of notes recently in support of my work on this blog for Septuagint studies. I’m very glad to see that this site is helping get the word out about various aspects of this fairly decentralized discipline. (But things are improving now! Especially with the newish IOSCS Facebook Group). Today I reached a milestone for the blog when I passed 30,000 site visitors. Thanks for reading! Congratulations on your contribution to this volume. But if “pro” and “con” are opposites, isn’t “congress” the inverse of “progress”? Pingback: Call for Papers: 2018 IOSOT Congress (Aberdeen) | Septuaginta &c.